IEM performing a PM inspection. ... contact IEM for help!!! World class maintenance, maintenance management, PM planning, safety training, cost savings, reduced internal headcount, and reduced OT costs. IEM can provide your business with contract maintenance services to meet most needs you may have. We can provide: Managers, Engineers, Specialized Technicians, Craftsmen, Schedulers, Material Handlers, and Mechanics. Minimize breakdowns by pinpointing potential machine weaknesses. Determine optimum centralized or distributed control configuration. Simplify predictive and preventive maintenance processes. Immediately identify point-of-failure in machinery. 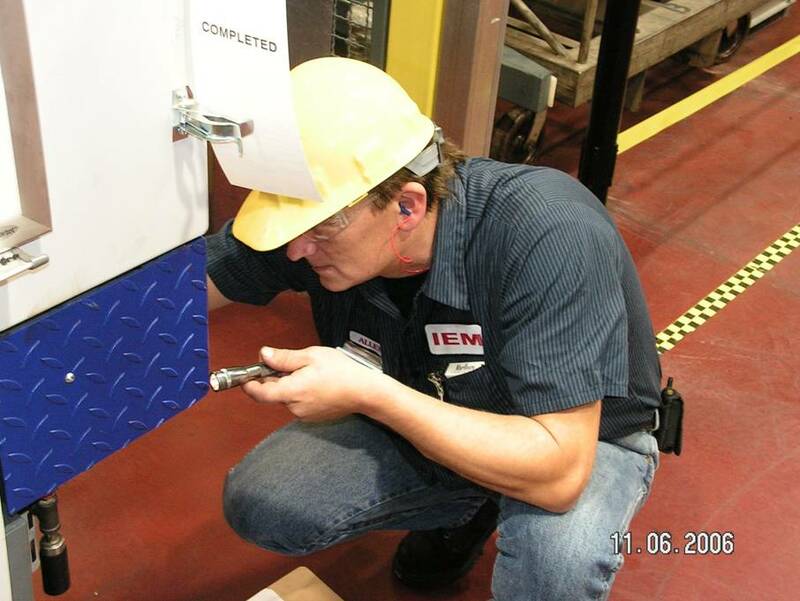 IEM can tailor a maintenance department to fit your specific needs at any given time. IEM will allow you to focus on your core competencies, while we focus on your production equipment.